OU Field trip. Students attending residential schools also went to museums, art galleries and spent time in labs and libraries. At residential schools student experimentation sometimes involved other students. 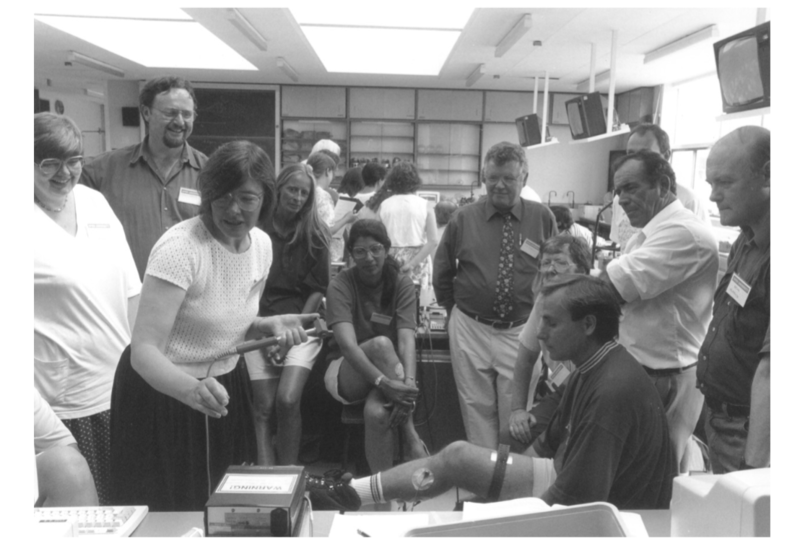 Those attending Biology brain and behaviour, SD206, summer school at University of York in the mid-1990s (the module was presented 1992–2001) had the opportunity to measure nerve conduction velocity – how fast information travels along a nerve cell. A volunteer wore shorts to the class and allowed other students to administer a small electric shock to a nerve in his leg and record how long it took to reach a point further down his leg. Other practicals on SD206 involved teaching a rat to press a lever, counting the number of cheeps a day-old chick makes and investigating wood lice in a maze. From the first presentations students at the Open University were offered residential schools. The OU hired parts of a number of university campuses during the summer. Students would be in residence for typically one week. Once there, they would attend lecturers and seminars, work in the laboratories or go on trips. The residential schools were staffed by regional and central staff and often tutors and guest lecturers. The idea of using university facilities during the ‘long vac’ in this way dates back to at least the early twentieth century. It was reinvigorated in the 1960s when Michael Young piloted a ‘dual Cambridge’ plan to establish a ‘Battersea University in King’s Parade’. He used part of Churchill College for fifty students to attend a one-week residential course, which was extended by the use of radio, television and correspondence courses. This prefigured Harold Wilson’s Glasgow speech of September 1963 in which the Labour leader outlined his ideas for a university of the air. The BBC had broadcast educational material from the start in the 1920s and by the 1960s television companies also made such broadcasts. By 1963 ITV was broadcasting more adult education than the BBC, providing some associated written material and residential courses. Associated Television and the University of Nottingham produced a thirteen-week course, which 1,250 people completed. It included programmes, written notes, two tutorials and a residential weekend attended by 200 people. The OU residential schools provided opportunities for clarification and consolidation of knowledge and specialised tuition.Summer schools were said to provide an opportunity to receive peer reassurance at a time when students were part way through an individual course and many were ‘floundering’, as Professor Michael Drake put it. He added that ‘a lot of students thought they were the only ones who were not coping and everyone else knew more than they did’. Tutor Sean Cubitt argued that the Popular culture, U206, summer schools provided ‘spaces where students can air their problems with the course and pursue their learning in new directions’. Students could access academic libraries and art galleries. Student Maggie Donaldson recalled that a Summer School trip around the National Gallery led by Charles Harrison ‘was such an exciting experience, and made me feel like I was a “real” student for a while, being taught by an inspirational expert on the subject. He was a class act in every way.’When surveyed in 1972, students ranked residential schools as the most helpful teaching component – ahead of correspondence tuition, television, tutorials, counselling and radio. Subsequent studies also found them to be seen as educationally beneficial. During the week we were kept very busy from 9 am often to 8 or 9 pm with only an hour for lunch and dinner … I couldn’t believe how quickly the week had gone by … The most satisfying thing of all was that I had been able to talk about my course with like-minded people, people who knew what I was talking about and had the same problems, fears and assignment deadlines as myself. I could never have talked to my wife or anyone else in the same way. sessions began at 9 a.m. and ran through until 8 p.m. or 9 p.m. with occasional breaks to prevent our minds from overheating … my tutors were incredibly personable and patient and gave valuable constructive feedback … Just having peers there to discuss our difficulties with was a real bene t … I was put in a study group with a great bunch of people meaning the long days were filled with a mix of insightful debate, serious hard work and full-on belly laughs … The principle bene t of attending the residential school, for me at least, was the realisation that other students were having the same difficulties that I was having. I no longer felt alone in the world of long-distance study. that summer of 1972 in the UK was a conversion experience. I saw the future of higher education and wanted to be part of it. Everything was hugely impressive and stimulating. First there was the scale: the Open University already had 40,000 students in its second year of operation. Second came the idealism: here were people who walked the talk on access and student-centred pedagogy. Third, there was palpable love of learning: the students were unbelievably motivated by the opportunity presented to them. 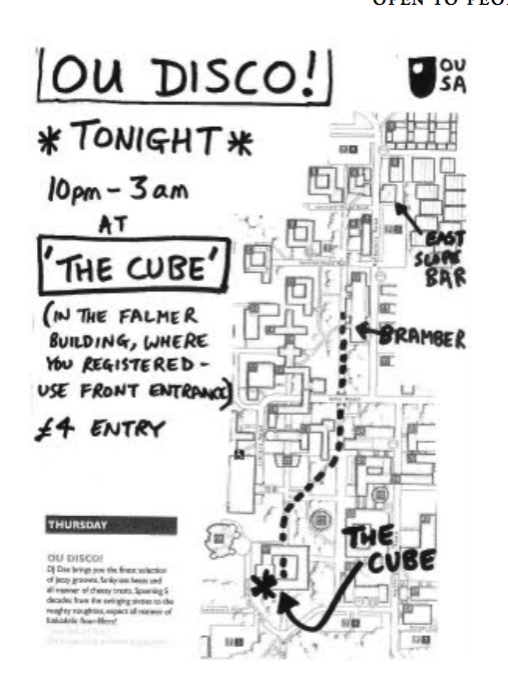 I went to one of the residential summer schools where students spent a full day in labs, seminars and field trips and then most of the night in the bar; continuing the academic discourse. Fourth, I was captivated by the media and technology: my key task was to help develop computer-marked assignments that tested advanced cognitive skills, but I spent every spare moment viewing the brilliant BBC television programmes. This exposure to the future of higher education infected me with the virus of open and distance learning. From the outset the OU subjected every part of its teaching to continuing scrutiny, up to and including the summer schools which were so salient a part of its offering. While those who attended them attested to the intel- lectual engagement and motivation of students and saw a positive correlation between attendance and recruitment, retention and results, their value for money was questioned from the early 1970s. Although an early Senate resolution made attendance at residential schools compulsory, that decision was questioned by the Faculty of Technology soon after it was created. In 1974 Hilary Perraton noted ‘euphoria’ gained ‘within the social situation in which students can learn together’ but then asked ‘whether it’s as valuable as the amount of money you spend on it’. In 1975 a paper addressed the question as to which OU students were deterred by the prospect of summer school of the OU before concluding that ‘probably nobody would argue against foundation course summer schools remain- ing compulsory’. 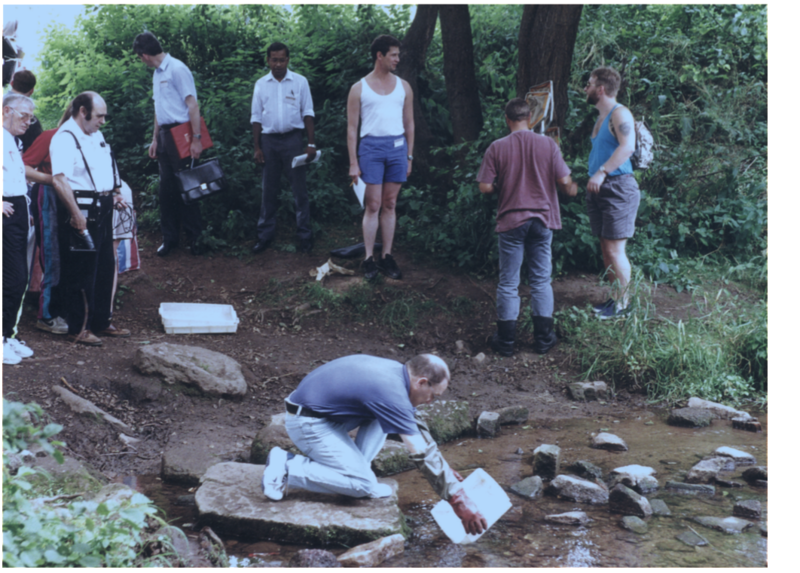 During the 1990s the Mathematics Faculty decided to rewrite its foundation course without a residential school. Studies sought to quantify the gain of OU residential schools. One considered the records of 1,500 students and concluded that ‘the value of traditional teaching components of courses taken by thousands of students each year was shown to be overestimated’. Evidence accumulated that the residential element had little bearing on the measured achievement of students. Residential schools were expensive for students. In 1994 21,000 students paid over £4 million to attend the week-long events. The Guardian reported that ‘online tutorial groups are replacing the legendary summer schools. They’re simply cheaper’. 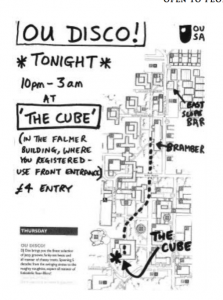 General shifts in lifestyles made it dif cult for many students to attend. Some students felt that their families were resentful of this use of annual leave and found being away stressful. Writing in 2001, one student noted that attendance could ‘be a problem for some people who have to take time off work or nd someone to look after the kids’. Alternative learning experiences had to be created. These aimed to deliver the same core learning outcomes through a variety of methods. These have included a written assignment, an online project and computer conferencing. While these may not have delivered the breadth of learning opportunities offered by residency, they undermined the distinctiveness of the pedagogic bene ts of the residential schools. Different means of supporting learners such as the virtual microscope and other forms of online communications became accessible to students. These online activities sought to recreate aspects of the residential experience and offer an alternative to the intensive experience of face-to-face teaching. New media, the virtual reality of SecondLife for example, became popular and enabled people to exchange ideas and work together without being in the same room at the same time.